Yet another weekend! And the team of Shopping Bites drove across the streets of Jaipur in search of another chophouse like always! 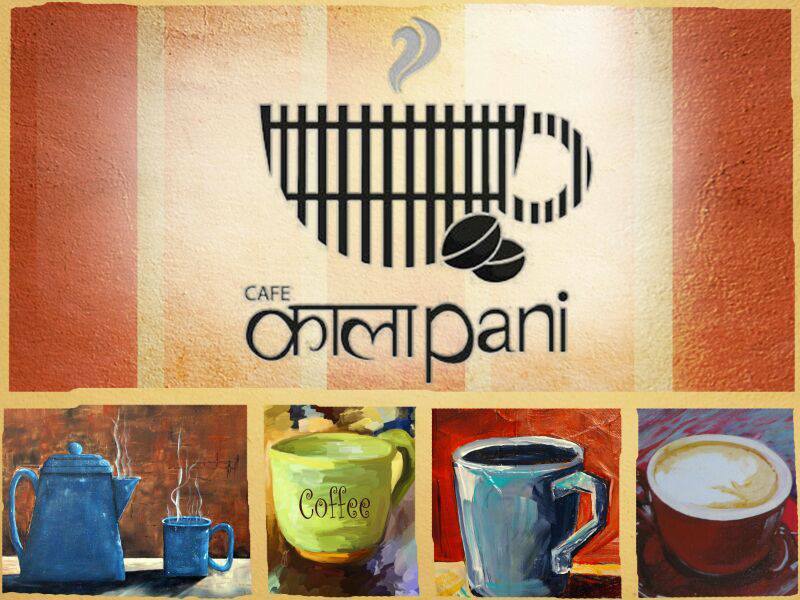 As our team had got to know about this new café in the city earlier, curiosity and anticipation were at its peak! Low and behold, we finally found the café with its eponym ‘Kalapani’! Though the location at C-scheme is disappointing in monsoons as the road outside the eatery gets flooded in heavy rains leading to enormous parking problems! While Entering, a charming yet humble being who greeted us was wearing a badge which read of a Bollywood villain’s name. Later we noticed, all the staff members were wearing badges which pronounced them as mogambo, topiya ,gabbar, lion etc. The soothing blue and green color ambiance in a shaded outdoor setting bought a smile on our faces. Partitioned options for indoor sitting arrangements are quite convenient. Coming to the menu, they offer vegetarian food only in addition to no alcohol. The taste and texture of the food is satisfactory! The manager suggested us to tryout the Italian and Mexican cuisines since it is their specialty along with splendid coffees from around the world. Our order was Lasagna, Pizza, Ceaser’s salad and penne al-fredo which looked luscious and tasted better. The beverages which included frappe, mojito and iced tea were good too. But one of their suggested drinks, ‘Brahmaputra Black Coffee’ was more like an age old medicinal drink and definitely wasn’t our cup of coffee! Brownies and puddings are apt for satisfying the longings. Overall food was their major attraction and it stood average on the wallet. The Power Cuts led to a number of sad-twisted curves on the faces of the customers. But the humorous talent and service of the staff surely covers the technical flaws!